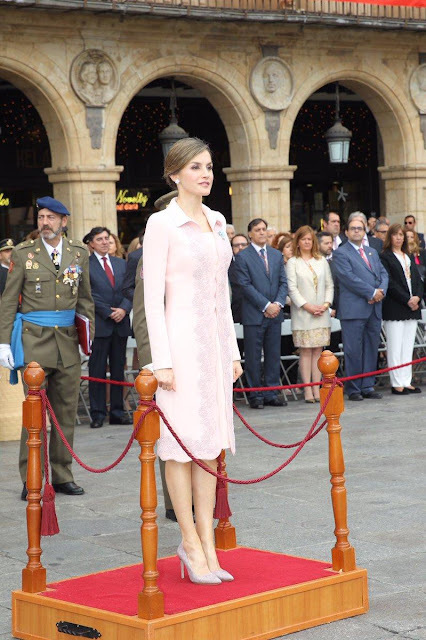 I didn't exactly think that the British had the market cornered on the pastels with froofy trim, but Letizia wouldn't have been my first guess to jump on board this week. Yet here she is, baby pink and embellished up. It's almost like she caught herself and added the sharp collar at the last minute to tip it back towards her usual clean, modern aesthetic. I think I would have preferred it without the collar course correction. Mary, on the other hand, was more than willing to go all in with the froof. Crown Princess Mary named the ship "Stenaweco Impulse"